Last week, Russian President Vladimir Putin and his US counterpart Donald Trump met in Paris, where the two leaders took part in celebrations dedicated to the centenary of the end of World War I. “Trump said: ‘Well, see you in Buenos Aires’. Our president has confirmed it,” he said, adding that preparations for the bilateral meeting were underway. Kremlin spokesman Dmitry Peskov previously said that the US decision to withdraw from the 1987 Intermediate-Range Nuclear Forces (INF) Treaty with Russia, among others, would be on the agenda of the meeting in Buenos Aires. Earlier this month, French officials asked the Russian and US sides not to hold a presidential meeting in Paris out of concern that it would overshadow the celebrations of the centennial of Armistice Day. 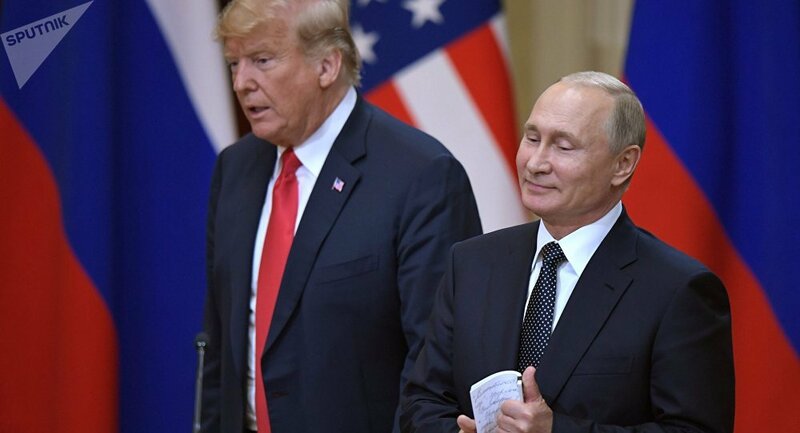 President Putin, however, told reporters that he had an opportunity to have a good conversation with Trump.On 16 July, the two heads of state held their first full-fledged summit in the Finnish capital of Helsinki, having discussed a wide array of issues in a bid to improve bilateral relations.